The Golden State Warriors are plowing the NBA. After posting a 67-15 record during the regular season, the Warriors have destroyed the competition in the postseason. They are now 15-1 in the playoffs, and looking to win their second championship in the NBA Finals against the Cleveland Cavaliers. They have two NBA MVPs on their roster, and have crushed the competition in 2017. While you may not be a fan of the Warriors, the NBA, or even basketball, the Denver Broncos have put together some dominant teams as well. Whether it was the Super Bowl winners, or just the AFC Championship teams, we have seen some Broncos units tear through the NFL. We know that the 1998 team was the most dominant team in Broncos history, going 14-2, rolling through the playoffs and winning Super Bowl XXXIII. However, we are looking at something a little more specific here. What are the most dominant units in Denver Broncos history? I suppose we could just say that this is the most dominant passing offense, not only in Broncos history, but in NFL history. The 2013 offense was something special. After coming to Denver in 2012, Peyton Manning played the best football of his life in year number two. He threw for an NFL record 55 touchdowns, and shredded the Denver single-season records for completions (450) and yards (5,444). His seven touchdowns in Week 1 against the Baltimore Ravens got the season off to a fast start. Yet Manning somehow managed to keep a frenetic pace going for most all of the season, and he spread the wealth around to a variety of receivers. Demaryius Thomas finished the season with 92 receptions and 14 touchdowns. Eric Decker had 87 catches and 11 scores. Wes Welker had 10 touchdowns, Julius Thomas had 12. Even Andre Caldwell and Knowshon Moreno had three each. The Broncos offense was a finely tuned machine, and Manning was the engineer, making all the right moves and adjustments. The Broncos set the NFL single season record for points scored with 606, and over 300 of those points, came via the passing game. It isn’t just sacks that sets the Super 50 winning defensive unit apart. It was the fact that they allowed just 18.5 points per game and less than 200 yards passing per game. Playing in an era where the rules all favor the offense, and specifically the passing game, the 2015 Denver Broncos defense played a throwback brand of football. They shut down running lanes, pressured the quarterback and forced turnovers at an incredible rate. During the regular season, the modern version of the Orange Crush allowed just 5.1 yards per pass, while sacking opposing quarterbacks 52 times and forcing 27 turnovers. Von Miller logged 11 sacks, DeMarcus Ware got 7.5, and Derek Wolfe, Malik Jackson, and Shaquil Barrett each had 5.5. In the postseason, the Denver pass defense turned it up one more notch, holding Ben Roethlisberger, Tom Brady, and Cam Newton to just an average of just 14.6 points and 266 passing yards per game. With an apology to a few other past teams, we are favoring the 2003 team based on their balance. We all remember the 2011 team, and their improbable run to the playoffs. Behind Tim Tebow, the Broncos ran for 2,632 yards, but that offense attempted just 217 passes all season. And of course, the 1998 team featured a 2,000-yard running back in Terrell Davis and went all the way to win their second Super Bowl in a row. But that group finished with just 2,468 yards as a team. The 2003 team went 10-6, and would eventually lose to the Indianapolis Colts and some guy named Peyton Manning in the playoffs. Yet, this team was racking up huge numbers on the ground during the season. With new quarterback Jake Plummer under center, Mike Shanahan decided to take the pressure off of his new QB and put it on his running game instead. Behind Ephraim Salaam, Ben Hamilton, Tom Nalen, Dan Neil and Matt Lepsis, Broncos running back racked up over 2,600 yards while averaging nearly five yards per carry. Clinton Portis got the bulk of the carries, and totaled 1,591 yards, and 14 touchdowns. Quentin Griffin had 345 yards, Mike Anderson ran for 257, and even Plummer himself picked up 205 yards on the ground. The 2013 Broncos averaged over 164 rushing yards per game and scored 20 touchdowns. The 1977 Denver Broncos season was magical for a number of reasons. The Broncos went 12-2 in the regular season, posting then the best record in franchise history. They made the postseason for the first time, and they even made it to the Super Bowl for the first time. The basis for most of their success came from the original Orange Crush defense that stifled opponents, and has yet to get nearly enough national recognition for how good they really were. The ‘77 Broncos defense allowed just 10.6 points per game, while giving up just 3.26 yards per carry on the ground. Don’t blame it on inferior competition. The Denver defense faced a slew of to- notch running backs, and held them each well below their rushing average. The Buffalo Bills’ O.J. Simpson managed just 43 yards in Week 2. Pittsburgh Steelers great Franco Harris picked up only 62 yards in Week 8. And in the season finale Dallas Cowboys rookie Tony Dorsett was held to 50 yards on 17 carries. It was more of the same in the postseason. 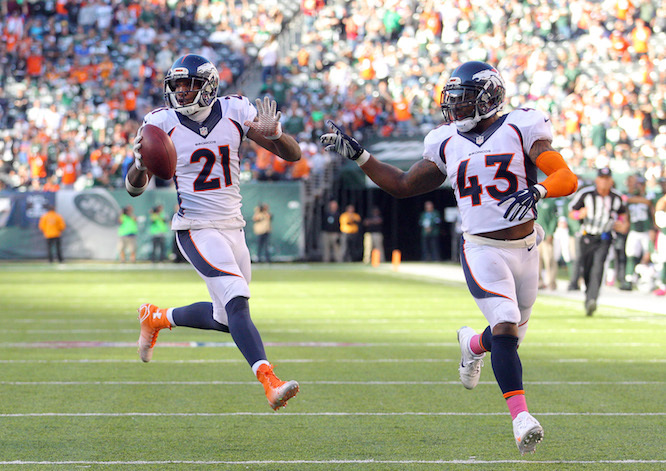 The Broncos held the Steelers, Raiders, and Cowboys to just 3.22 yards per carry. 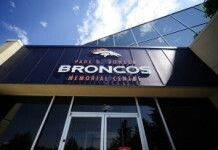 The 1976 Denver Broncos posted what was the best record in franchise history at that time. The Broncos went 9-5, but missed the postseason, as the Oakland Raiders went 13-1, and won Super Bowl XI. The key to the Broncos’ success was, of course, their tenacious defense, but they also got a significant lift from their special teams. Okay, so the kicking game was very average. Kicker Jim Turner was solid, making 15 of 21 field goals. Backup quarterback Norris Weese split the punting duties with Billy Van Heusen, and the two combined for 35 yards per punt. 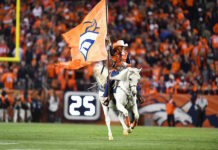 The lift, however, was provided by the Broncos return game. Running back Lonnie Perrin averaged 27.9 yards per kickoff return to help the Broncos establish good field position, while Rick Upchurch proved to be the most dangerous punt returner in the NFL. Upchurch averaged 13.7 yards per return, and took back not one punt, or two, or even three, but four punt returns for touchdowns. 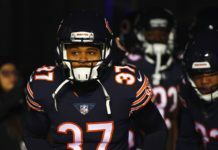 Upchurch was selected to the Pro Bowl and was named a First-Team All-Pro following the season.